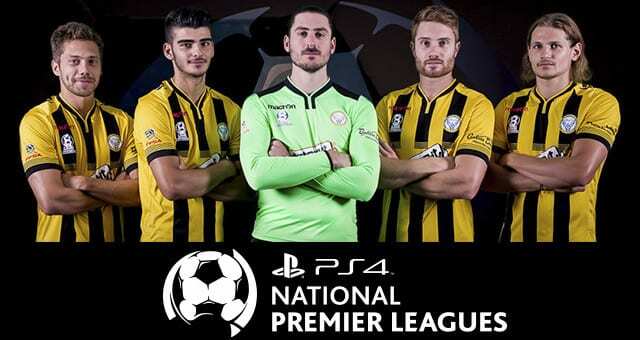 West Torrens Birkalla rise as triumphant victor with 3 goals over Adelaide Olympic in Round 4 of the PlayStation 4 National Premier League South Australia. Birkalla, now fifth on the table, are savoring their contentious victory, which saw three of their players’ cautioned and one sent off, all after halftime. “The result was good; we knew we had to treat it like a final,” said Scott Nagel of West Torrens Birkalla. “After last week’s disappointing draw (against Adelaide Blue Eagles), it gives us credit and confidence, knowing that we can bounce back. “Olympic had some passages of play where they dominated … it was a good test for our boys to stay disciplined and not concede, especially after the red card. The victory puts Birkalla equal on seven points alongside Adelaide City, West Adelaide, Adelaide Blue Eagles and Adelaide United. The cards could be seen as a fair gauge of the competitiveness of the game, but with one of their leading men sent off – Paul Radice – Birkalla will now be without some firepower up front for next week. “He (Radice) is a huge loss, he has been playing really well and is in great form, but we have good depth in our squad and we’ll be able to cover him. But, the perks of a win, will outweigh the hindrances of an important player’s suspension, and this week against South Adelaide, Birkalla will be hunting for another victory. “We (Birkalla) feel like every week we’re improving and working together better, and better as a team. Congratulations to our Marcellinas Player of the Week for Round 4 Julian Torresan.